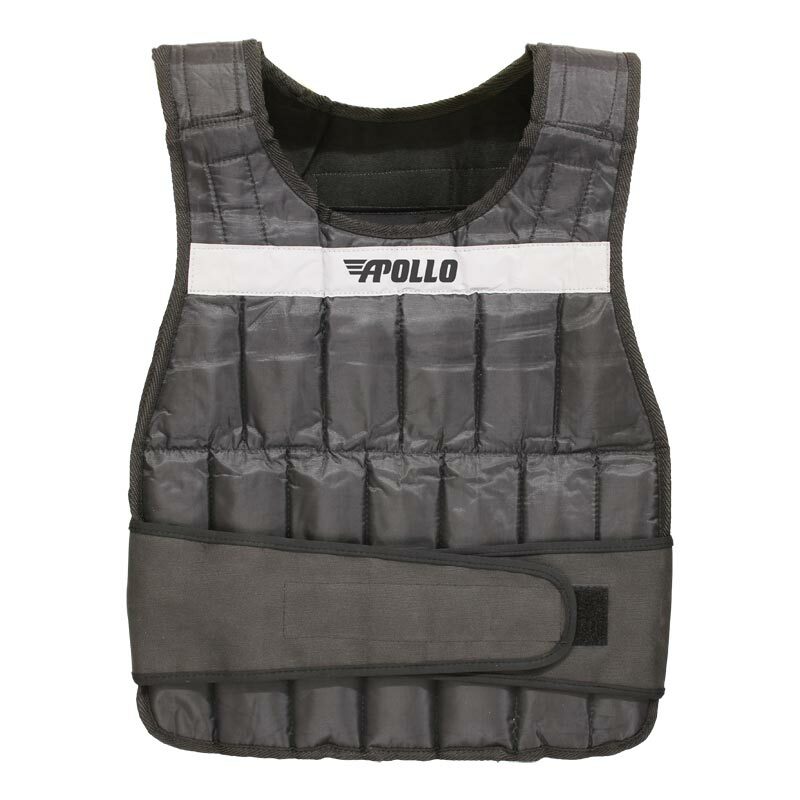 Add resistance with the Apollo Weighted Vest 18kg. Easy adjustable weights. Designed to be comfortable for both men and women with the unique one size fits all double closure system. 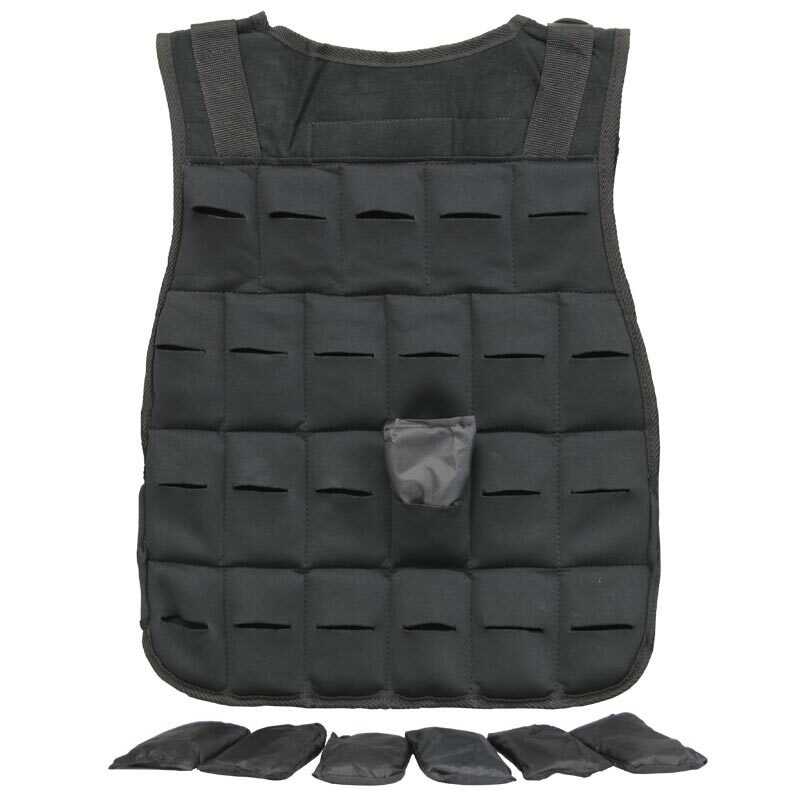 Featuring neoprene padding throughout the chest and shoulders with steel shot packets that conform to the body for total comfort and has reflective elements for night safety. 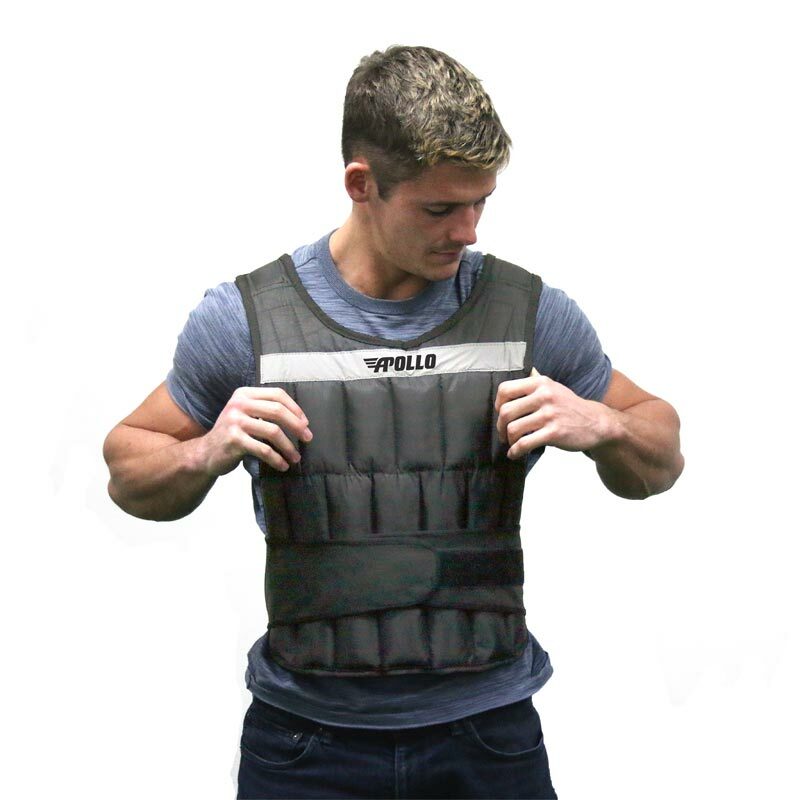 Each vest contain 43 sandbag weights, each weighing approx 398g. Filled weight is 18kg but can be reduced by removing sandbag weights. Neoprene padding for total body comfort. Granulated steel shot packets conform to body. This vest is not waterproof.